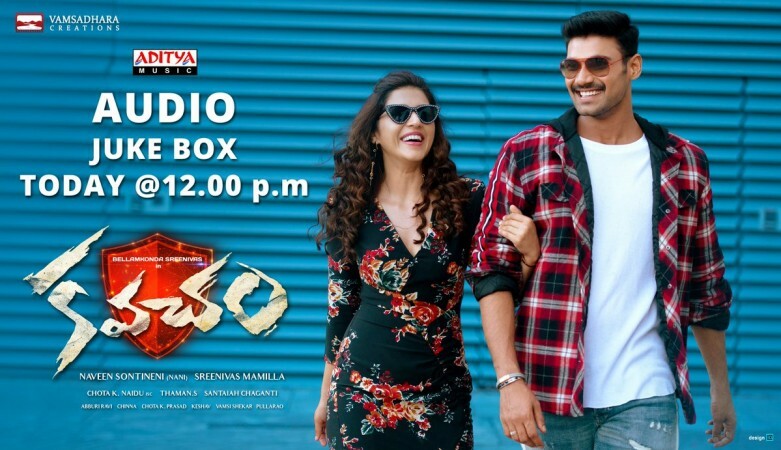 Kavacham starring Bellamkonda Sai Srinivas, Kajal and Mehreen has become victim of piracy on opening day, as the full movie leaked online for free download, which will affect its box office collection. 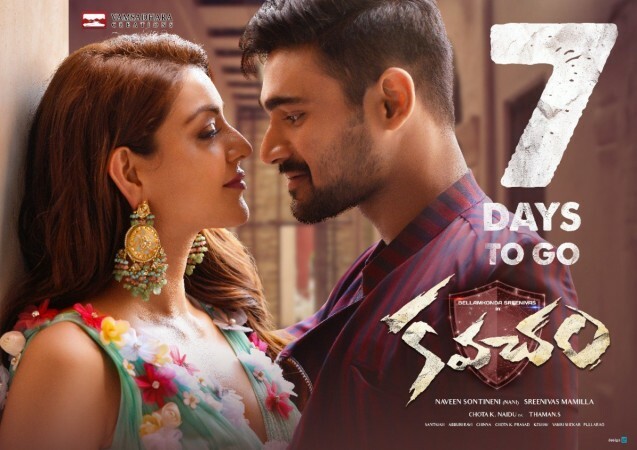 The full movie of Kavacham starring Bellamkonda Sai Srinivas, Kajal Aggarwal and Mehreen Kaur Pirzada has been leaked online on its opening day. Its free download will affect its box office collections. Bellamkonda Sai Srinivas, who made his acting debut with Alludu Sreenu, has suffered a severe setback with back-to-back failures at the box office. He is now looking for a big break with this release. Besides choosing an interesting script, he has left no stone unturned to make Kavacham a hit with the audience. 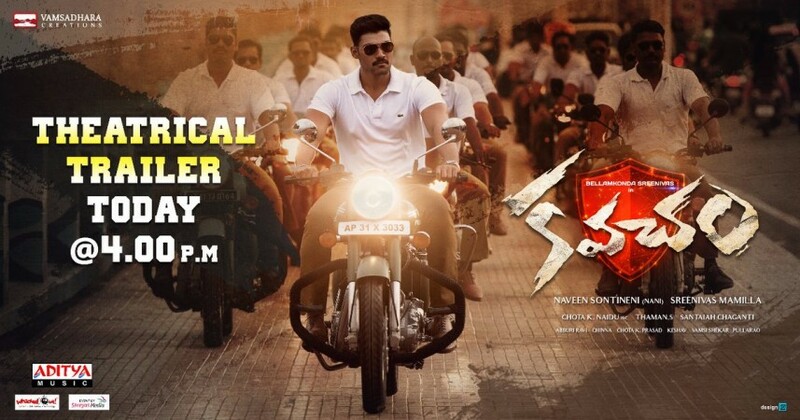 A day before it hit the screens, the son of noted producer Bellamkonda Suresh requested film-goers to watch Kavacham in theatres. Sai Srinivas tweeted, "Here we are... it's #Kavacham day. We gave best efforts to bring you a thriller. Need all your support and watch the movie in theatres @MsKajalAggarwal @Mehreenpirzada @MusicThaman @NeilNMukesh @VamsadharaC #SreenivasMamilla (sic)." But miscreants have allegedly leaked the complete film of Kavacham online soon after its matinee got over on the first day. The website run by a notorious gang offers six different prints of the movie for free download. They have apparently recorded the full movie during its screening in a cinema hall and it has a poor audio and video quality says a viewer, who watched its pirated copy. Kavacham is an action thriller that about a sincere police officer (Bellamkonda Srinivas), who is framed in the case of kidnapping his girlfriend (Kajal Aggarwal). How he unravels the mystery forms the crux of the film. The movie has struck a chord with everyone and has received positive reactions. Strong word-of-mouth is expected to boost its collections at the box office over the weekend. Kavacham is a big budget venture with a budget of around Rs 20 crore and its theatrical rights were sold for Rs 18 crore. Stakes are really high for the film, but piracy is posing a big threat for its success as free downloads of the full movie will take a toll on its collection at the box office. We at IBTimes India, are strictly against piracy of any film and we condemn people who support it. We always stand by the film industry, which has suffered huge losses due to piracy. We also request you join us in the fight against piracy. Say no to piracy and encourage filmmakers by watching films in cinema halls only.